An awe-inspiring 7.2km densely wooded forest walking/hiking trail where you may spot the beautiful Knysna Loerie, the stunning Giant Kingfisher and a myriad of other winged beauties, amongst indigenous trees to reach the sparkling Waterfall. 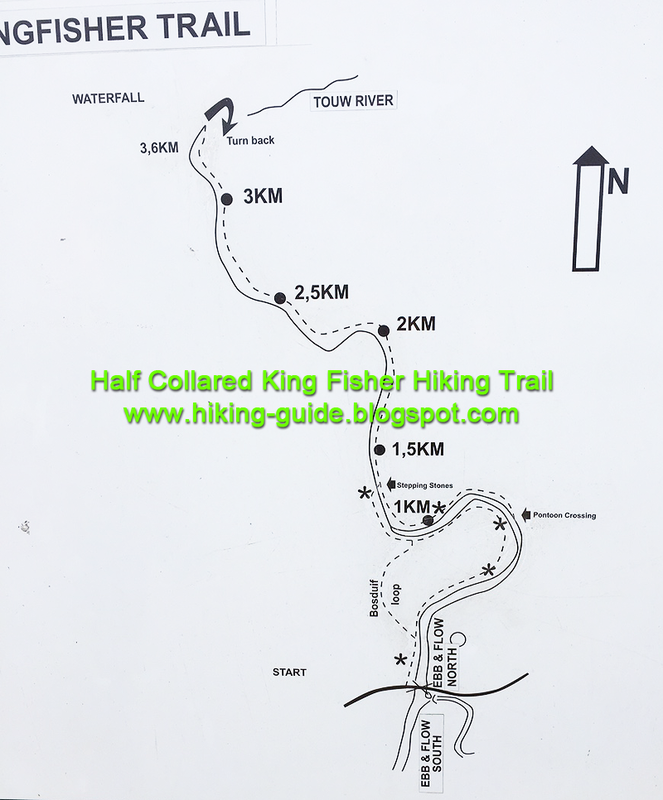 I finally decided to write a blog about the Half Collared Kingfisher Trail in Wilderness since it is one of my favourite routes in the area and also the one that I usually run/walk at least once a week on my own. Firstly to keep fit, and secondly because it’s so much more fun than getting on a treadmill in the gym. Thirdly you get to experience the fresh forest smells and sounds in the early morn, you hear and see the birds, fresh spider webs in the morning sun, and a while ago, I was thrilled to spot a little blue duiker hiding in the bushes.